The biggest Kroger in Texas opened a while back pretty close to our house (and RIGHT next to our church!). It's by far my favorite grocery store. I could spend hours just wandering up and down the aisles! I always seem to come home with something fun and new - recently it was a tube of polenta. 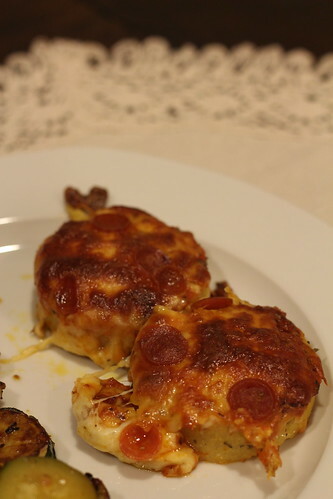 There are probably about a million things you can do with polenta, but we made little pizzas! So yummy. 1. Slice the polenta into eight circles. 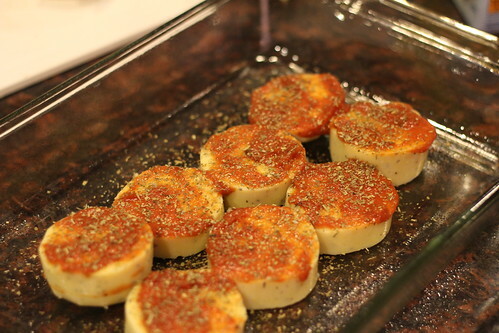 Lightly spray a baking dish with olive oil spray and put the polenta circles in the dish, adjacent to each other. 2. 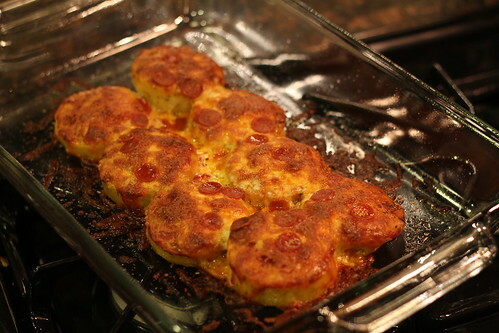 Spread pizza sauce over each polenta circle. 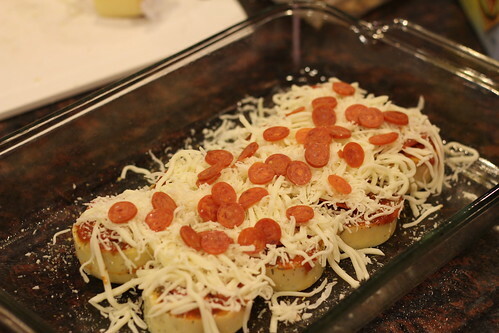 Sprinkle Italian seasoning over each one, then add cheese and pepperoni. 3. 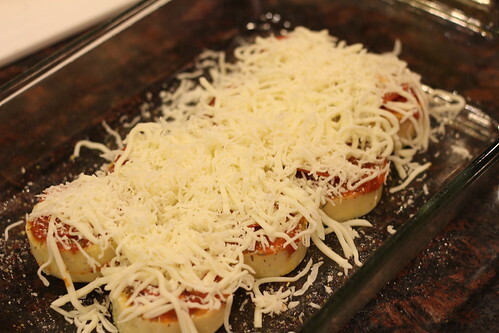 Bake at 400 for 10-12 minutes, or until the cheese is bubbly and browned. These look so amazing! 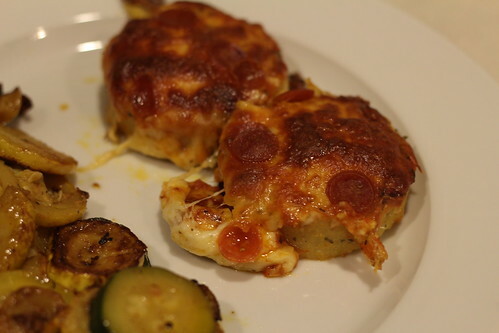 Have you made risotto balls filled with cheese? Also delicious.